Microsoft Account is another name for a Microsoft Live account. Live accounts are used to sign in for Microsoft services like Outlook/Hotmail and Xbox Live. 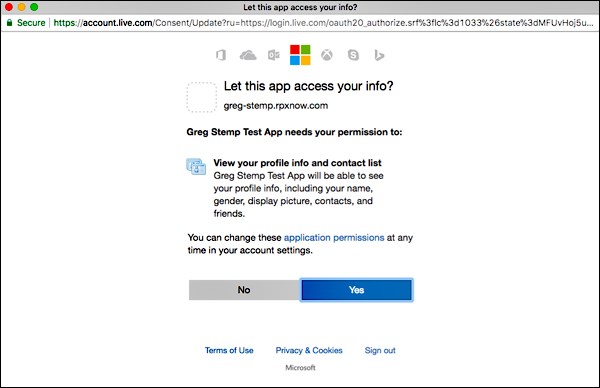 Obtain a Microsoft developer account from https://apps.dev.microsoft.com. 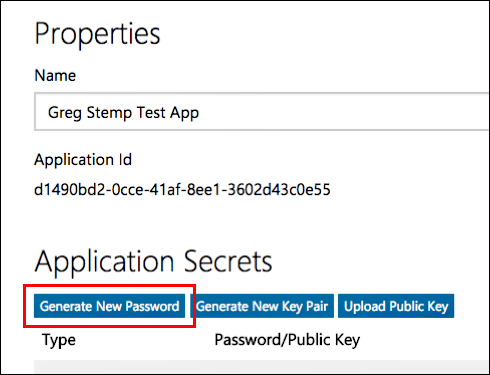 Open a previously-created Microsoft app, and copy the app ID and client ID. 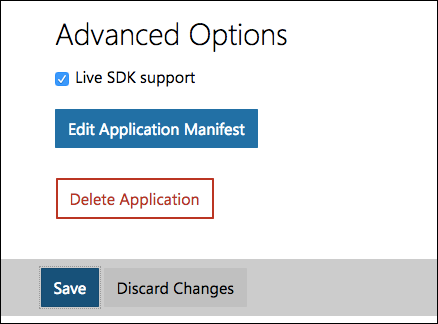 Create a new Microsoft app and copy the app ID and client ID. 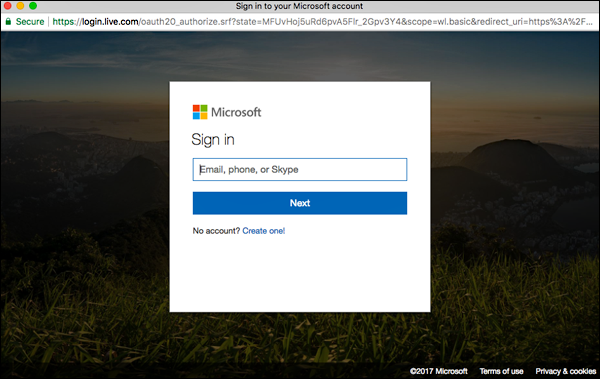 Use the Social Login Dashboard and the Microsoft app ID and client ID to configure Microsoft Account as a social login provider. 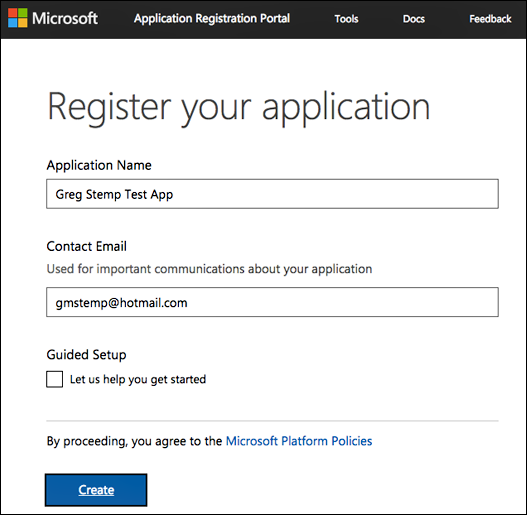 This section walks you through the process of creating an app that can be used to configure Microsoft Account social login. 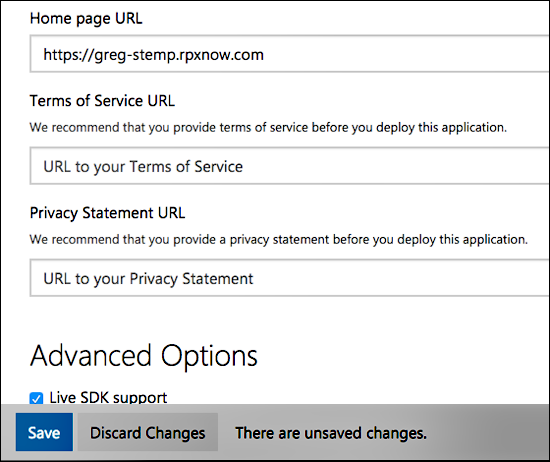 If you already have an app, see the Using an Existing Microsoft Account App for Social Login section of this documentation. Log on to the Microsoft Application Registration Portal (https://apps.dev.microsoft.com). Enter the name of your application in the Application Name field. Enter your email address in the Contact Email field. Leave Guided Setup unselected and then click Create. From the Registration page for your new application, copy and save the Application ID. You can copy this information to a text editor, then close the text editor after you have configured social login. 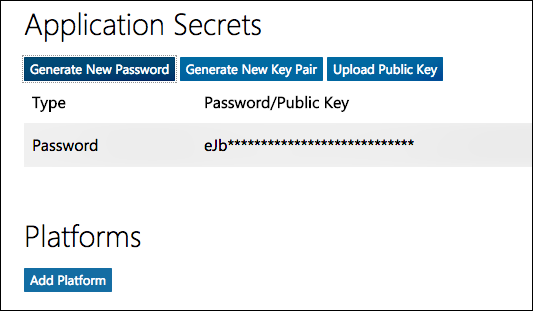 In the New password generated dialog box, copy and save your application password. (This is the only time you will be able to access the password.) 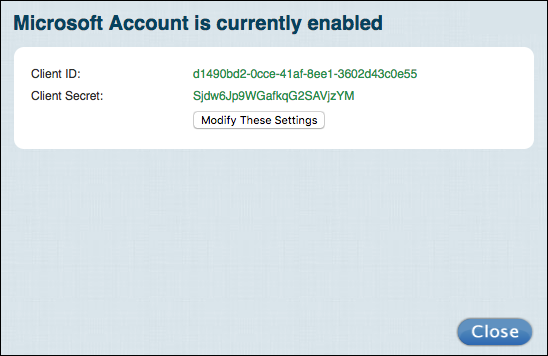 You can copy this information to a text editor, then close the text editor after you have configured social login. On the home page for your application, copy and save the Application ID. You can copy this information to a text editor, then close the text editor after you have configured social login. 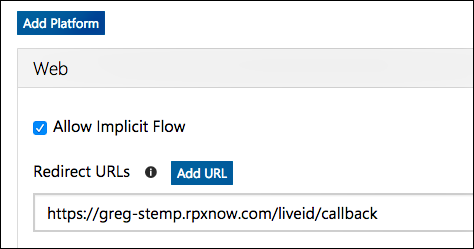 If login succeeds, information returned from the Microsoft profile is displayed in the API response preview field. 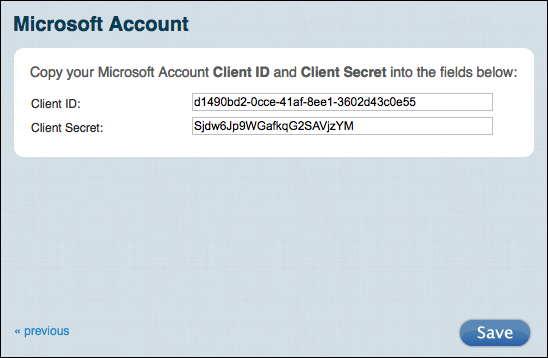 The Microsoft account used in the test. The profile information you requested for Microsoft account. From the Configure Providers page, click Microsoft Account. Fields not marked with an Off or an Ask label are automatically returned when a user logs on using a Microsoft account. The user can either click Yes to forward all the requested information, or can click No to terminate logon. On the Configure Providers page, click Ask to turn off the information request. To change the Microsoft account configuration, click Modify these settings. Although you can modify your Microsoft Account settings, you cannot delete those settings. 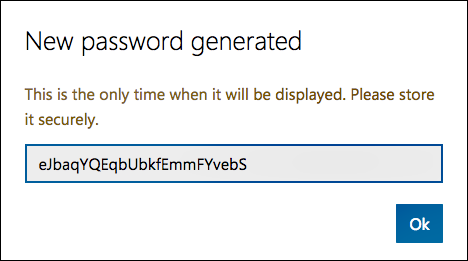 If you delete the settings and then try to save your changes, you’ll see the error message Please enter your Consumer Key and Secret exactly as Microsoft Account shows them. 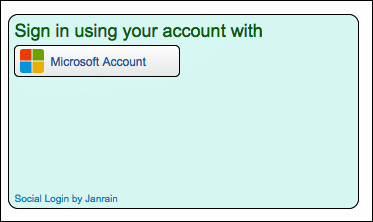 This means that you cannot “unconfigure” the provider: once configured, the Microsoft Account icon will always be shown as green (i.e., configured) in the Social Login Dashboard. In the widget, click the X in the upper right corner of the Microsoft Account icon. Scroll to the bottom of the page, select Save and Publish, and then click Publish. Microsoft Account no longer appears in the sign-on widget.